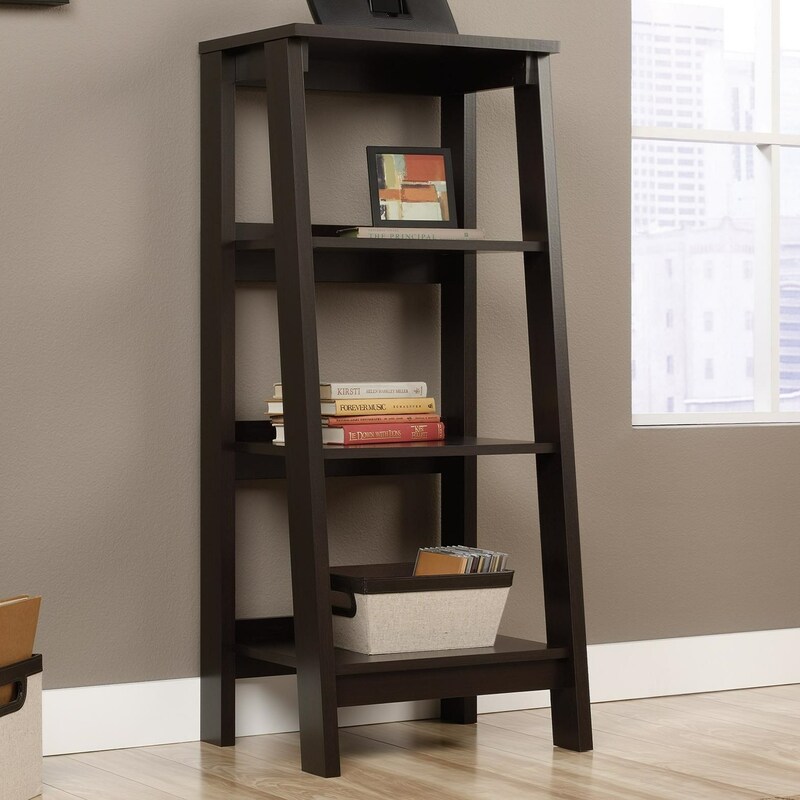 Store books and accents on this open bookcase with a contemporary angled shape. The bookcase is finished on all sides in a dark Jamocha finish. The Select Angled 3-Shelf Bookcase by Sauder at Sam Levitz Furniture in the Tucson, Oro Valley, Marana, Vail, and Green Valley, AZ area. Product availability may vary. Contact us for the most current availability on this product. Browse other items in the Select collection from Sam Levitz Furniture in the Tucson, Oro Valley, Marana, Vail, and Green Valley, AZ area.